Physicians’ spouses dedicated to health, education, wellness and community service. 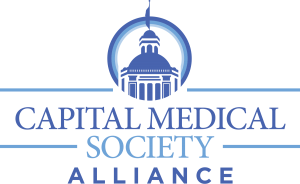 Our purpose is to work in partnership with the Capital Medical Society to promote health and education, to identify and address health care needs and issues, to encourage involvement in health care legislation, to support health-related charitable endeavors, and promote a social/fellowship environment among our members. For more Alliance information, check out our website.